Do you need to remove the tie rod to replace lower arm? I'm slowly chucking through my bushing replacement and I'm In the process of replacing the lower control arm. I've unbolted the two bolts from the outside edge that secure the steering knuckle. However I have to drive the assembly out of the arm and I'm wondering if there is enough slack in the system to do this without having to disconnect the tie rod? It would be faster and easier if I don't have to but I don't want to damage the steering rack. 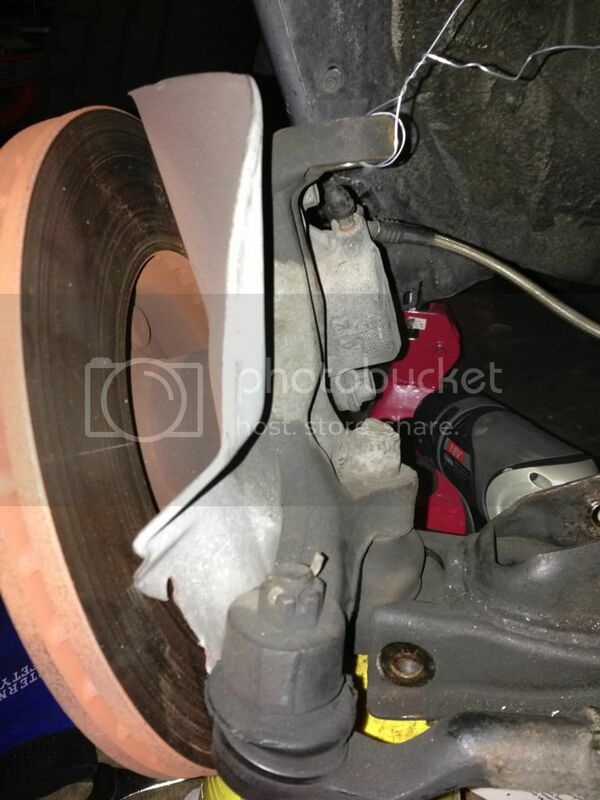 Re: Do you need to remove the tie rod to replace lower arm? tie rod connects to the knuckle. knuckle is connected to the lower CA by ball joint. if youre able to remove the lower ball joint from the lower c/a, then you should not need to remove it. OK, sounds like I've got my terminology wrong. As you can see, there are two ball joints on the lower assembly. I need to remove the rear one from the lower arm. Can I get it and the hub assembly out of the lower arm without removing the tie rod end? Or is there another prefered method for this that doesn't risk damaging the ball joint rubber seals by having to remove them from the hub assembly? There is a bolt where the bottom of your strut goes to in the A-arm, there's a bolt that bolt to the knuckle. Did you remove that already? Is that picture of your actual car? It looks like you need new tie rod boot. Yes, I see what you are talking about there with that boot. Do they actually just make the boots or do I have to get an all new tie rod end? Yes, both bolts are out of the lower assembly but its going to take som persuasion to get it out of the arm. There is a short bolt inside the LCA that mounts the ball joint to the LCA - you have to remove both the long bolt and that short bolt in order to disconnect the two parts. Ya, I bought the tool from Harbor Freight ages ago and couldn't find it in the garage. Just when I was about to give up on getting the upper A arm off I spoted the tool and it worked great. I haven't been back in the garage since the picture above. I think I'll just go ahead and disconnect the tie rod end and cut off the cracked boot and replace it with a Proflex boot. They are cheap (like $3 a pair) and I read a tread from another Miata guy who salvaged his ball joint that way. We shall see, maybe a temporary fix if the boot doesn't hold the grease in but the ball joints still feel good so no sense in pitching them if this cheap fix works.